The US Department of Defense has confirmed that they have approved the use of devices running the BlackBerry 10 operating system and the BlackBerry PlayBook with BlackBerry Enterprise Service 10 on their network. But BlackBerry 10 is not the only platform approved by the DoD. 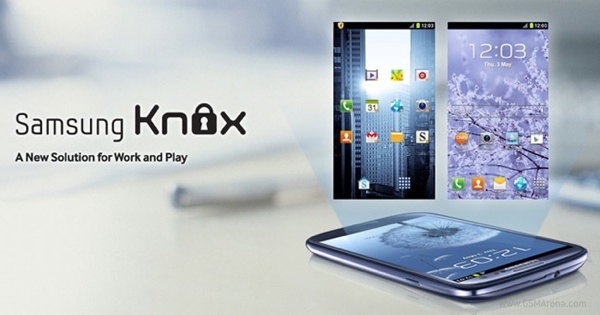 Samsung's Knox software has also been approved, so any device running this software becomes eligible. For those who aren't aware, Samsung Knox creates a separate, secure environment on your phone for your work data, which can be deployed and managed by your IT department. This means you can continue using your existing phone and your personal and work environment can exist separately on a single device. Apple's iOS is also said to be in the running but so far it hasn't been approved yet. According to The Verge, the DoD has a few outstanding questions about the operating system but it is expected that it will get approved some time in the next two weeks. Meanwhile, the DoD is also reviewing several other devices and operating systems.